A Haines teenager was likely the first transgender student to compete at a statewide high school athletic competition. Nattaphon Wangyot was born male, but has identified as female since she was about five years old. Her participation in last weekend’s track meet in Anchorage drew a lot of attention, both positive and negative. Wangyot goes by the nickname ‘Ice.’ Her mother, Tukta Panyawong, said the nickname comes from when she was pregnant with Ice, back in Thailand, and she used to chew on ice cubes. Panyawong said the nickname fits, especially in the aftermath of the track meet. She says her daughter has been cool under pressure. There’s a lot Ice has to let go. She’s read comments from news stories about the track competition. Some are supportive and positive, but Ice says others are ‘hateful.’ But, she says, the hateful comments make her stronger. It isn’t just online commentators who have a problem with Ice competing against other girls. On Friday, the conservative Christian group Alaska Family Action held a press conference. “It is not fair and it is not right for our female athletes, and we have a responsibility to protect our girls,” said Stephanie Leigh Golmon Williams, as reported by KTVA. The group said male-to-female transgender students have an advantage over biologically female athletes. Ice disagrees. She says she takes medication that suppresses male hormones and increases female hormones. Alaska Family Action was protesting the Alaska School Activities Association’s recently adopted policy on transgender athletes. The policy lets local schools decide whether transgender students can compete according to the gender they identify with. “The bigger gist of how this policy was developed is ASAA feels that schools are in the best position of dealing with individual students and know which individual students consistently identify with a different gender and can apply that better than we can, thousands of miles away from the actual student,” said ASAA director Billy Strickland. “Yeah, we’re not gonna discriminate based on gender identity. That’s the just the long and the short of it,” said Haines School District Interim Superintendent Rich Carlson. 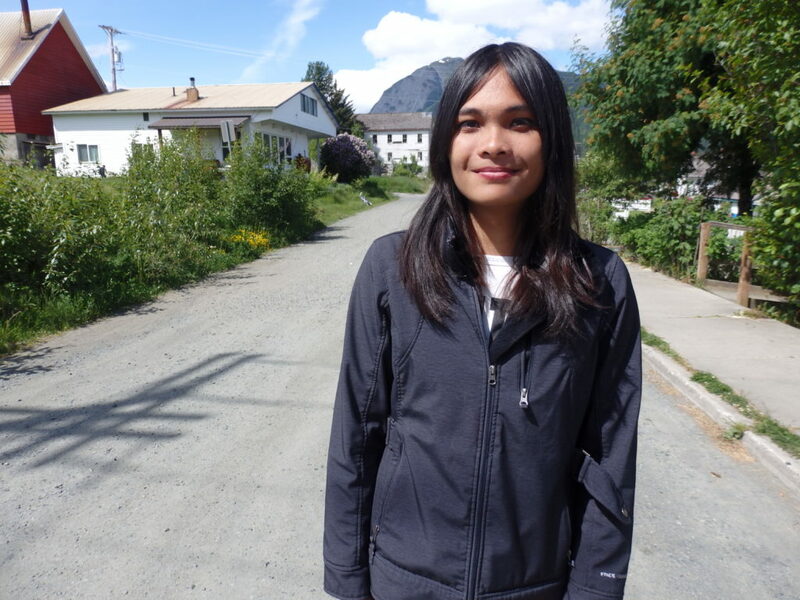 Ice moved to Haines from Thailand in 2014. But she didn’t start participating in sports until this year, her senior year. That kicked the district into action. The school board added gender identity to its non-discrimination policy and it updated administrative guidelines. Now the district’s stance is that transgender students can compete in sports according to the gender they consistently identify with. Carlson was expecting some push-back to Ice competing at the state track meet. But when he heard about the press conference protesting the transgender policy, Carlson got on a plane to Anchorage. “I wanted to be there, frankly, to protect Ice,” Carlson said. Ice said in all her races, her coaches tell her to ignore everything and just focus on running. Now, she’s trying to ignore the negative reactions to her involvement in the track meet and focus on the support she’s gotten. And she wants to share that message with people in similar situations. Ice ended up placing in both the events she competed in. She won third place in the small schools’ women’s 200-meter sprint, and fifth place in the 100-meter race.